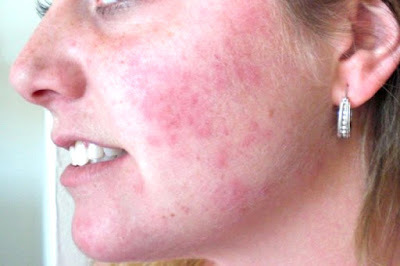 Rashes are fairly common problem in summer. Sweat and humidity creates fine pimples and itching on throat, stomach and back. Green Coriander: Soak green coriander in ice water. Apply this water after 5 hours and you will get relief from rashes. Ice: You can get relief by applying ice on rashes. Multani Mud: You can apply the Multani mud on rashes. It gives relief in itching as well as rashes. Neem: Rub the skin of neem and apply it on rashes. Put neem leaves in water and boil it. You can take bath with this water, which is very useful to get rid of rashes. Coconut Oil & Camphor: Mix camphor in coconut oil. Apply this oil after taking bath. It is quite beneficial in rashes. Sandalwood: Prepare mixture of white sandalwood, rose water and camphor. Apply this mixture on rashes. Poppy Seed: Mix poppy seed in water and apply this mixture on rashes. You can also get relief by drinking poppy seed juice. Mustard Oil: Mix mustard oil in water. Apply this mixture on rashes in morning-evening. It gives your relief from rashes in 3 days. Orange Peel: Prepare mixture of orange peel powder and rose water. Apply this mixture on rashes. Basil: Rub the basil wood in water and apply it on rashes. Bitter Gourd Juice: Mix 1 teaspoon soda in ¼ bitter gourd juice. Apply this mixture 2-3 times on rashes. Mango: Extract the pulp of mango in low heat. Apply it on rashes when it cools. It gives benefits. Lemon Juice: Prepare juice of green coriander and lemon juice. This juice is very beneficial in rashes. Garlic Juice: Grind the garlic and prepare the juice. Apply this mixture on rashes and you will get rid from it within 3 days. Aloe Vera Gel: Aloe Vera gel is quite beneficial in rashes. It easily cures the rashes and its itching.